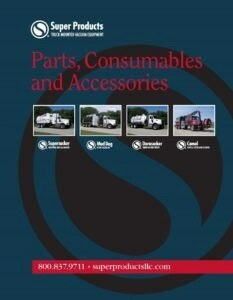 In addition to being a leading manufacturer of truck-mounted vacuum equipment, Super Products is an ideal one-stop shop for all your related parts, consumables and accessories needs. 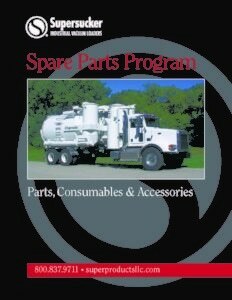 Whether you need to place an order for consumable items like filter bags, nozzles or hoses, or require a more engineered parts solution, Super Products can get you back up and running. 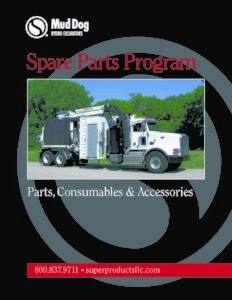 With a 20,000 square foot warehouse housing $2,000,000 in aftermarket inventory at its main facility in New Berlin, WI as well as fully stocked parts departments at its nationwide locations, Super Products is able to maintain a 90% same day ship rate. And all Super Products parts specialists are highly responsive, experienced and trained in determining – and getting you – the correct part you need, when you need it. 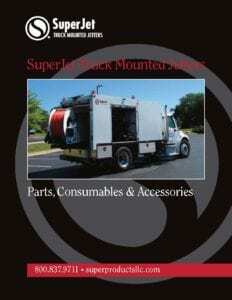 In addition to Super Products’ full parts catalogs, be sure to check out and download our Supersucker® and Mud Dog® spare parts catalogs for commonly used parts, consumables, and maintenance items.